Be made under an income driven repayment plan. This includes REPAYE, PAYE, IBR, or ICR. Extended & graduated repayment don’t count toward PSLF. And while the 10-year standard repayment plan technically counts toward PSLF, remember that under PSLF your remaining debt will be forgiven after making 120 payments. If you’re making payments under the standard 10-year plan there won’t be anything left to forgive! What Loans Qualify for PSLF? Only Federal Direct Loans qualify for PSLF. FFEL and Federal Perkins Loans do not. You can consolidate these loans though, since the resulting direct consolidation loan is eligible for PSLF. Make sure you do your homework though, Perkins loans have other cancellation benefits if you work in certain industries. If you qualify for them you’ll probably want to omit them from a consolidation loan. Also remember that you are technically issued a new loan every time you consolidate. If you make a few payments that qualify for PSLF and then decide to consolidate, your “forgiveness clock” resets. You’d need to make another 120 qualifying payments. If you’re dead set on having your loans forgiven via PSLF, your objective should be to pay as little as possible out of pocket. This might mean that your monthly payments don’t cover the interest accruing each month. That’s OK. It will be forgiven anyway. Run the numbers on the various income driven and extended repayment options to see which plan offer the lowest possible payments over the next ten years. You don’t need to officially enroll in PSLF in order to accrue qualifying payments. Once you’ve made 120 of them you’ll just need to submit a PSLF application form to receive your forgiveness. This might sound a little scary – making ten years of unchecked payments in the hope that they’ll qualify for PSLF. For this reason you can submit an Employment Certification Form every few years. The Department of Education will then respond with whether your payments are considered “qualified” for PSLF reasons. My suggestion is to submit this form at least every few years to make sure your monthly payments qualify. Also be sure to submit the form whenever you change jobs. When you apply for forgiveness, you’ll need to get “authorized officials” who have access to your employment records sign off on your work record if it hasn’t already been certified. Better to do this certification periodically than have to track down an old boss’s signature. 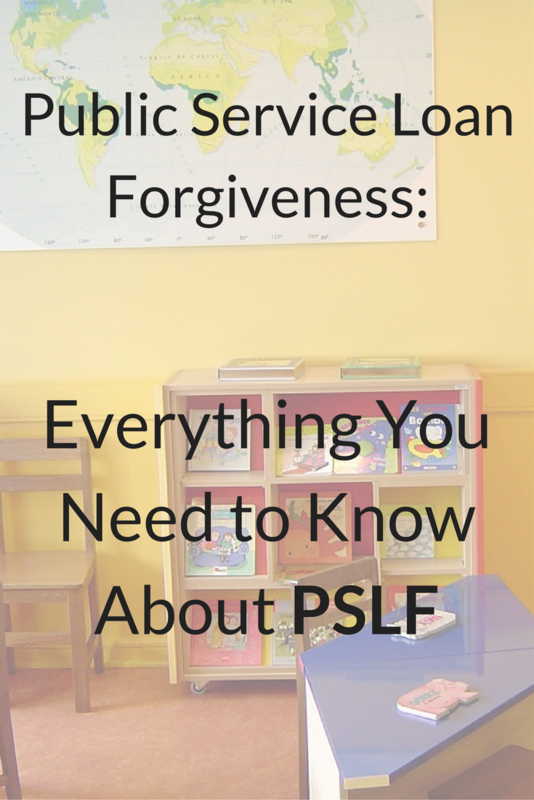 There’s been a lot of chatter about whether the government will get rid of PSLF. The Republican led House of Representatives has made several budget proposals that have included the elimination of PSLF entirely. None have been successful though, and it’s difficult to see these proposals gain momentum while a Democrat is in office. Democrats have considered a cap on PSLF though, which could seriously change the landscape for many borrowers. 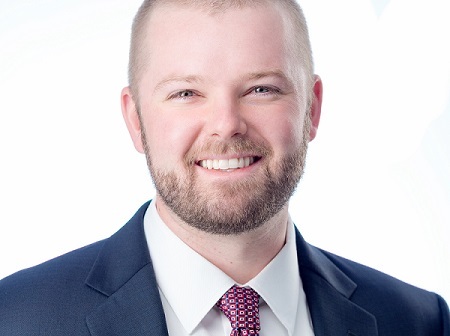 Student Loan Hero posted a good update on PSLF is going away here. For those just starting a career in the non-profit sector, this is definitely something to keep an eye on. We can try to speculate about the likelihood that PSLF will stay or go, but at the end of the day it’s just a question we don’t know the answer to. Its my sincere hope that if PSLF does change or go away, existing borrowers will be grandfathered into the existing rules when they took out their loans. There’s no assurance that will happen though. If you’re pursuing PSLF, you’ll want to keep an eye on how this unfolds. Posted in Financial Planning, Student Loans and tagged federal public service loan forgiveness, federal student loan forgiveness 10 years, pslf, public loan service forgiveness, public sector loan forgiveness, public service loan forgiveness, public service loan forgiveness pslf, public services loan forgiveness, public student loan forgiveness, student loan pslf.